The San Antonio Spurs, who were pushed to seven games in the first round by the Dallas Mavericks, are on the precipice of a second-round sweep, handing the Portland Trail Blazers three consecutive losses and looking much more like San Antonio: Postseason Juggernaut than San Antonio: That Old Team Full of Good Players. Watching San Antonio, a team that didn’t have a single starter average more than 30 minutes during the regular season (a National Basketball Association first), work Lazarus magic on its aging stars — Tim Duncan, 38; Manu Ginobili, 36; and relative youngster Tony Parker, 31 — and continue its simply Spurs-ian ability to wring found money out of the most curious of places in its reserve corps has reiterated just how solid the Texas team has been when it comes to just being good. 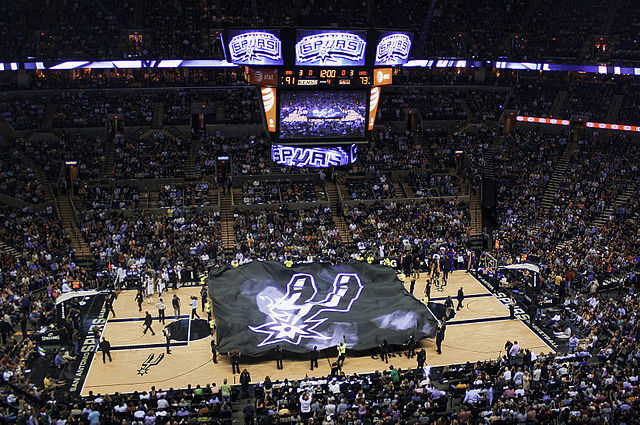 Consider this: Through the postseason, the Spurs have posted an offensive rating of 113.2. That’s a mark that would have qualified as the best offense in the league during the regular season, and it’s a significant uptick from the team’s performance before the playoffs started. Some of that is because the talent on the floor has increased. With all respect to guys like Marco Belinelli, playing people like Duncan and Ginobili almost five more minutes per game is going to lead to some better basketball. And their execution is glorious — there’s no other word for it. The Spurs, under the longtime coaching of Greg Popovitch, who delivers the best in-game interviews this side of surly, also hold the second-best True Shooting Percentage and Effective Field Goal Percentage out of any team still in the playoffs. What are those numbers and what does that mathematical magic mean? You might be able to reason that it means the Spurs are shooting the ball better than every team that isn’t Miami. That’s true, but it’s what that means that makes it really interesting. True Shooting Percentage, in the words of the people who pay attention to these sorts of things, is the type of scoring metric everyone knows in their heart of hearts to be true — that free throws are easier than 2-point shots, and that 3 pointers are the most difficult of all. Effective Field Goal Percentage, meanwhile, measures the importance of a 3 pointer against a 2 – that is to say that a 3 is worth 1.5 times what a 2-point shot is worth. So the Spurs are busy pounding the rock, just like always. 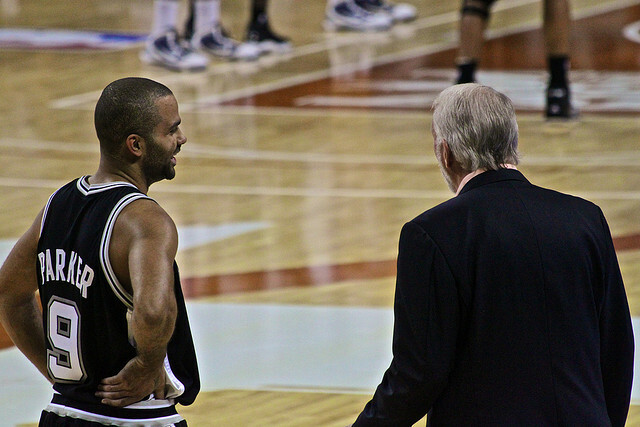 Pop, who has lead San Antonio to 16 seasons with over 50 wins (the one exception, the ’99 season, saw the silver and black go 37-13), certainly has the resume to back up the motivational speeches. The Spurs are the third-best team in the postseason when it comes to Assist percentage, with 16.8, behind only the Clippers (17.8) and just short of the Miami Heat (17.1). Unlike the Heat, the likely Western Conference finalists — that’d be the Clippers and the Spurs; sorry, Thunder fans — are both playing faster basketball. While the Miami squad is clocking in at a pace of 89.09, a snail’s pace that helps the Heat keep their turnovers down, the Spurs and the Clippers are coming in at 95.17 and 98.17, respectively. What does that mean? It means that the Clips and the Spurs are playing at a speed that would’ve fit comfortably into the top 10 fastest teams in the NBA this year, and the top five when keeping the criteria down to winning teams. Teams that are short on talent relative to the rest of the league tend to push the pace to make up the difference, which is why the 76ers were the fastest team in the NBA last year. Of those three teams, the Spurs have the best offense and the second best defense — in spite of playing at a blistering pace, especially during the postseason, San Antonio is executing at a high level on both sides of the ball. As the Spurs seek to mop up the Blazers in order to get the most heel chilling time before the Western Conference Finals, San Antonio seeks to avenge its 2013 championship loss to the Miami Heat. That is, assuming that Indiana and Brooklyn fail to contain LeBron James and his South Beach associates as they seek to nail an elusive three-peat: three consecutive championships. After a relative snoozefest of a second round, the last two rounds look to feature some of the season’s best hoops, and, odds are, a whole lot of San Antonio. All data for this story were pulled from NBA Stats and Basketball Reference.